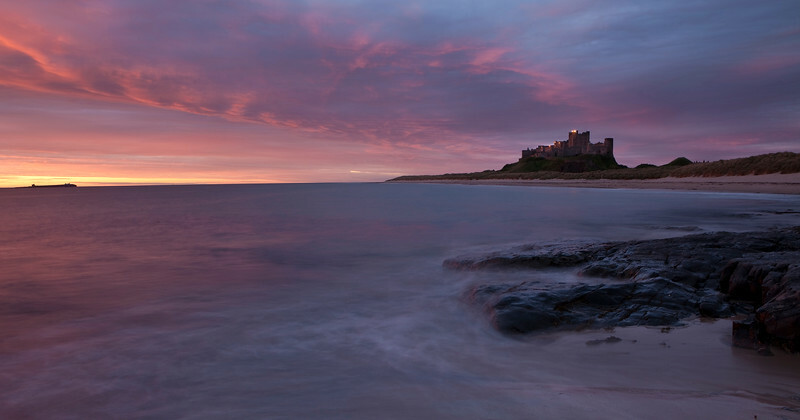 Bamburgh Castle at dawn. This castle is found on the Northumberland coast. The Farne Islands can be seen on the horizon.